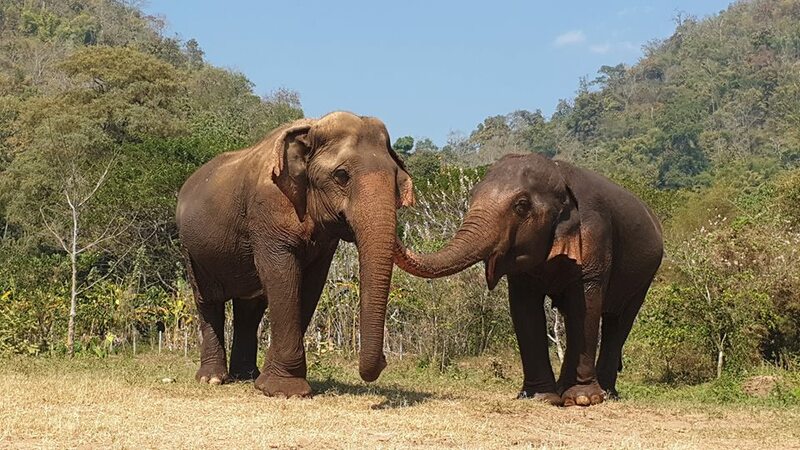 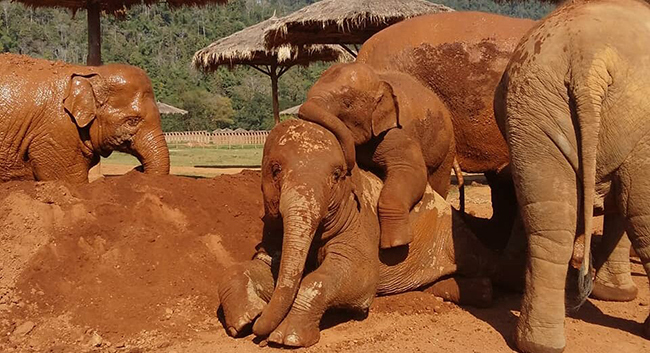 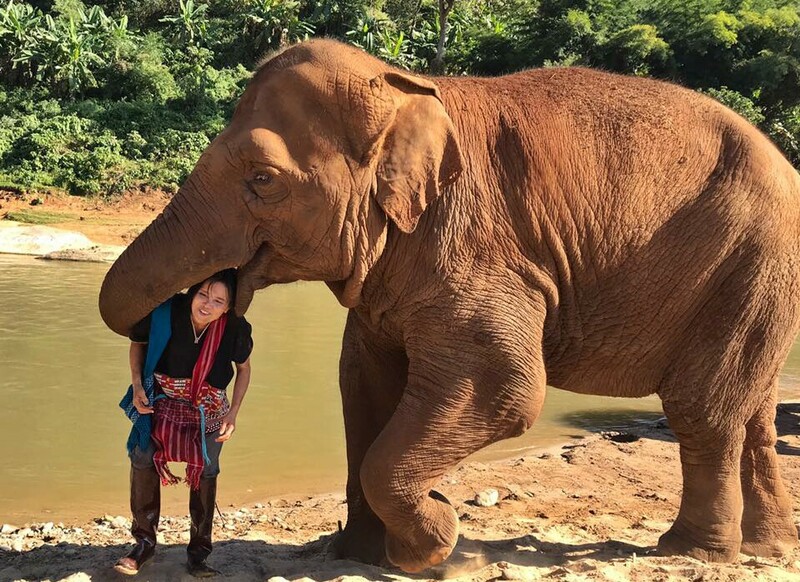 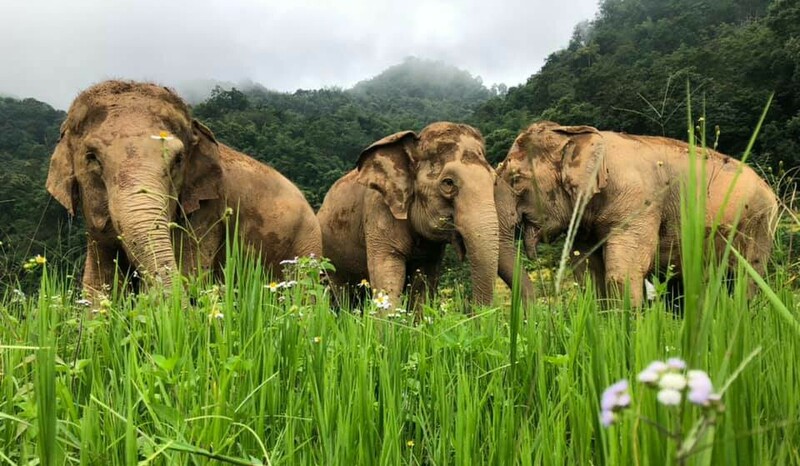 This is the transformation of elephants from elephant riding in trekking camp to live with freedom and enjoy their retirement in the natural surroundings. 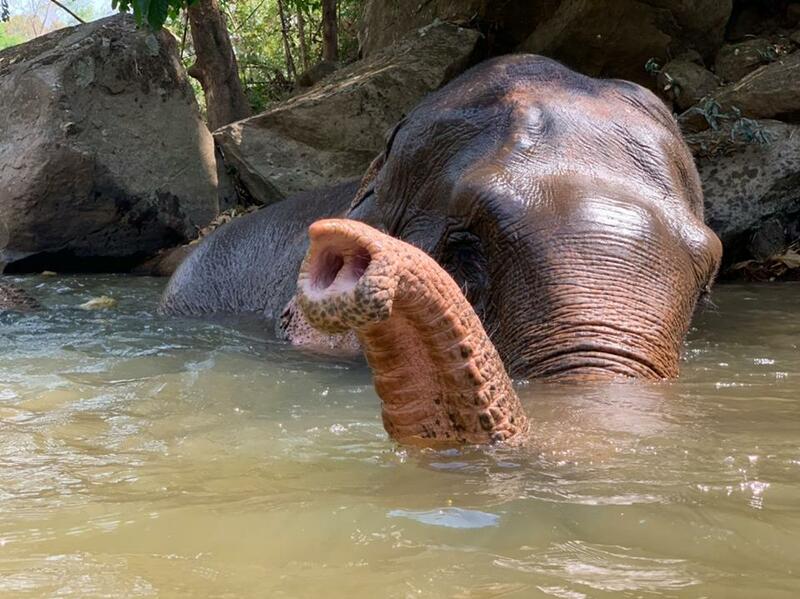 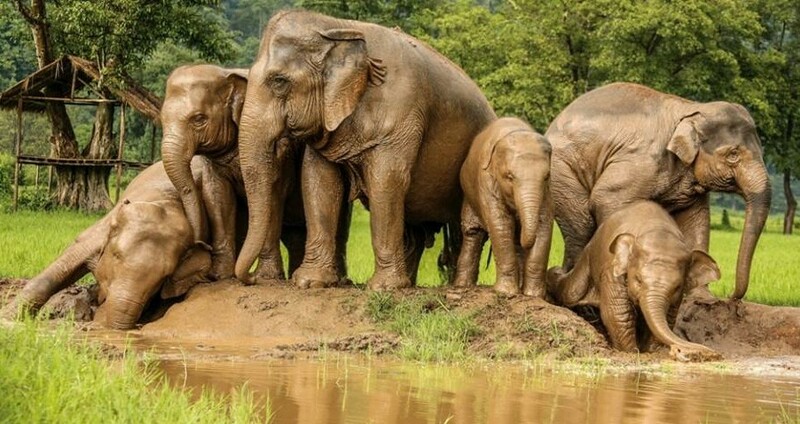 This group of female elephants spend their day interacting with each other while walking leisurely the jungle, stop to forage variety of young leaves, having dust bathe and bathing in the river. 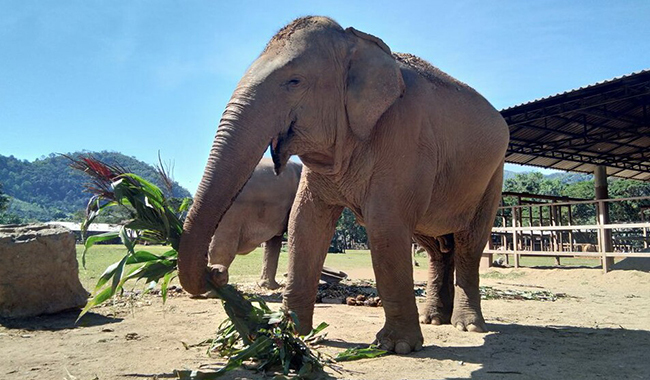 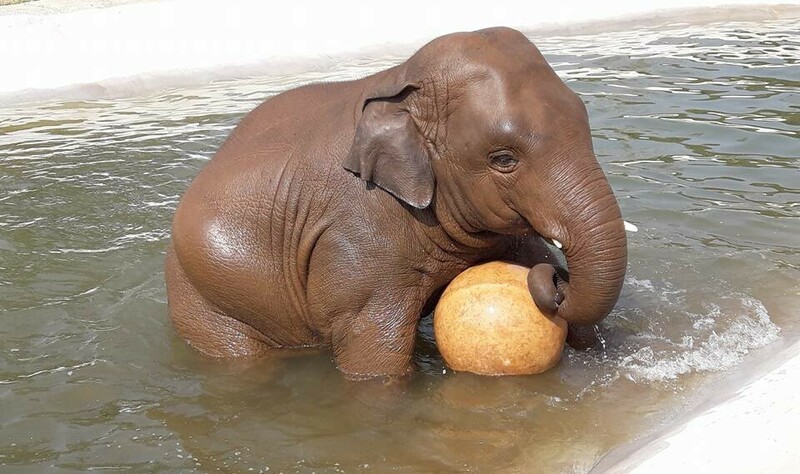 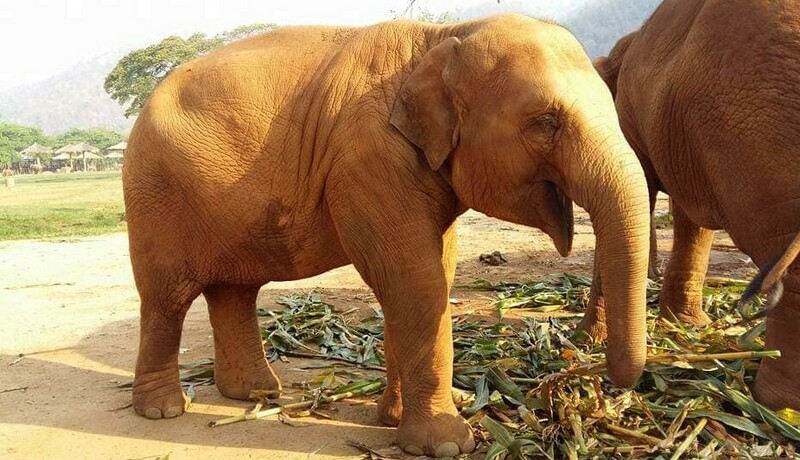 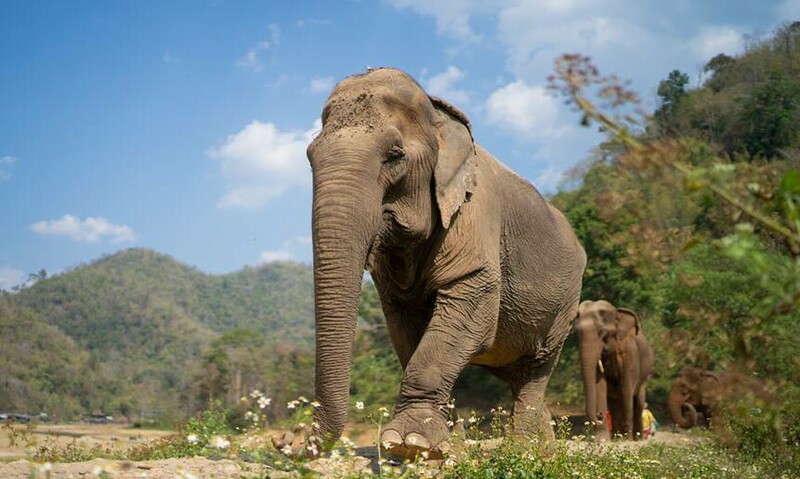 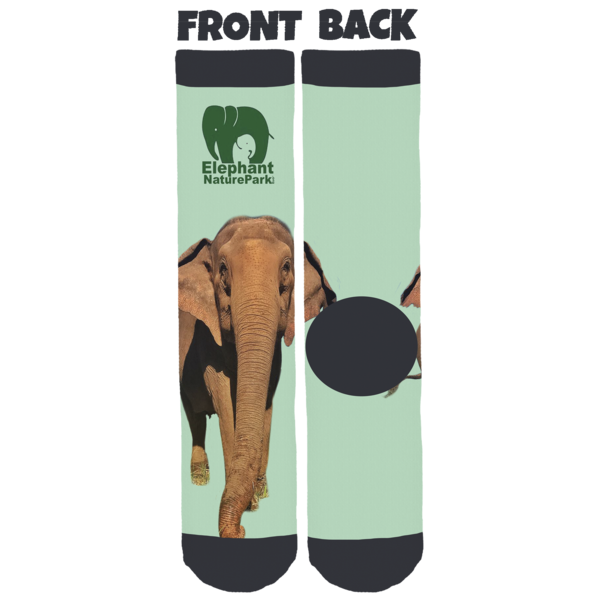 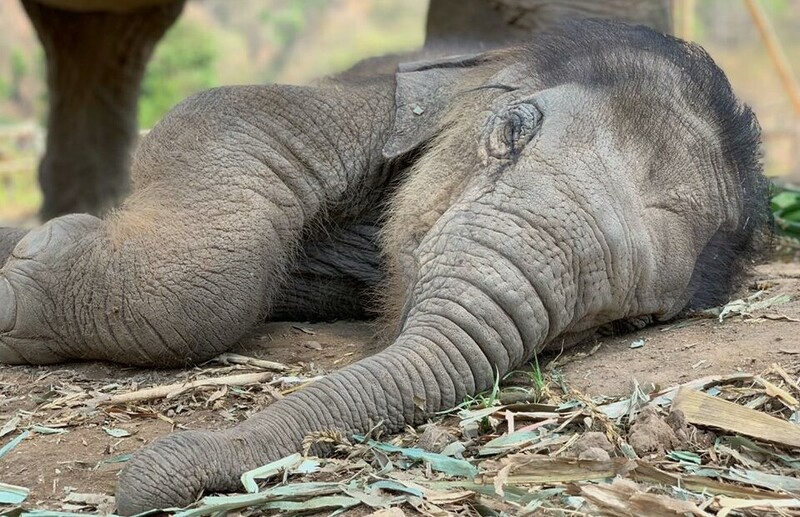 When you visit Sunshine for Elephants project, with no riding you will feed the elephants with seasonal fruits and then walk with these the rescued elephants through the dense mountain forests witnessing their natural behaviors and sense of freedom. 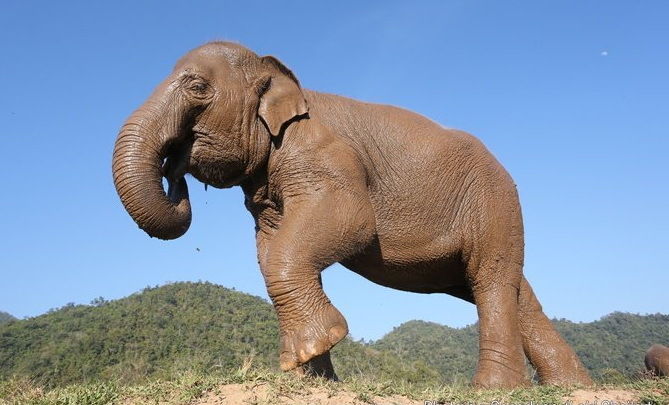 It is amazing when we can observe elephants living on their freedom to be themselves. 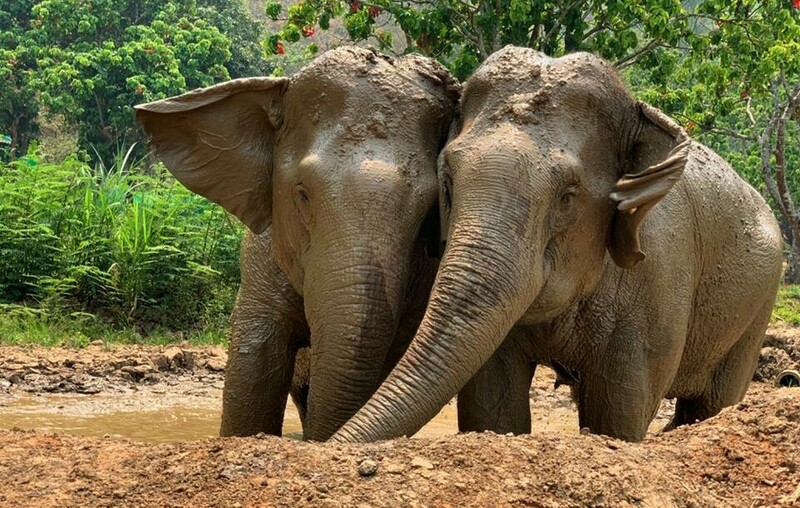 So beautiful seeing them happy and healthy. 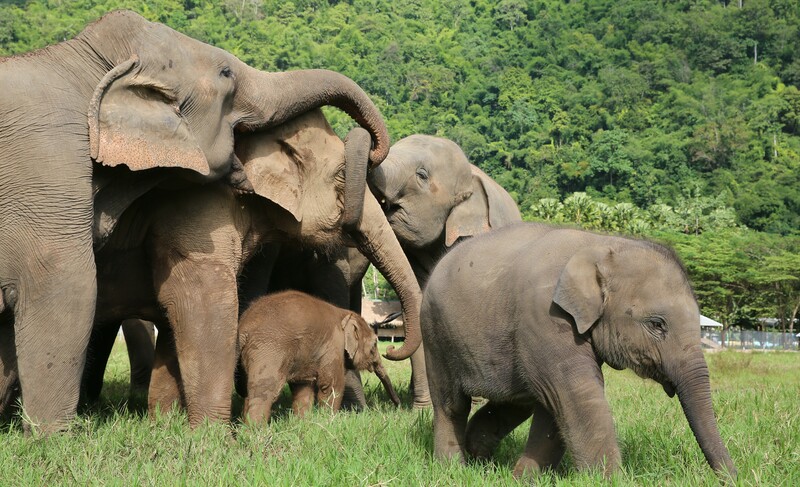 Elephant Highlands – Heaven on Earth for Elephants.